The holidays are rapidly approaching, and with them comes the stress of those annual preparations – decorating the house, buying presents and, of course, getting all the foodstuffs planned and ready. It’s no easy feat, that’s for sure. 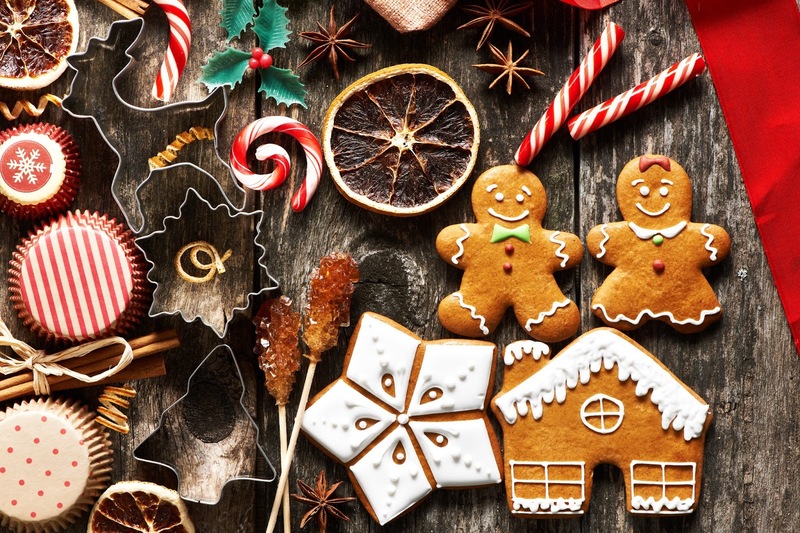 Are you giving away baked goodies this year to friends and family? Or perhaps making treats for a show or event? Our 4” x 4” Red and Green Foil Wrappers will make it simple to wrap up your delicious treasures for a fun, festive presentation. We’ve got packs of either 125 or 1,000! And to go along with those packages of sweetness, you can wrap them tight using our 4” Candy Cane Paper Twist Ties for an added Christmas touch (available in packs of 50 or 2,000). When you’ve got multiple batches to bake, don’t let things get backed up waiting for everything to cool. Our Non-Stick 10” x 18” Cooling Rack is just the item to keep things moving so you can get in the flow. Making a cake? 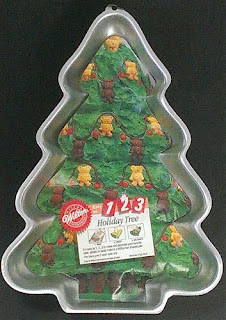 You won’t have to worry about doing anything extra to make it look festive – just use our Christmas Holiday Tree Character Cake Pan. Made by Wilton, this gorgeous pan will provide the quality cake you want with no fuss. And if you would like to add some decorations, the kids will love to help out with trimming this tree! Decorate your table with pretty poinsettia candies made in our Poinsettia Flexible Mold. This mold is made of silicone so you can easily remove your fondants, mints, jellies or caramels. Tint your baked creations with a hint of red or green this year using our LorAnn Oils Powder Food Coloring in any dry mixes that don’t call for water. This color is concentrated, so you only have to use a tiny bit to get the full effect (added bonus: our 4-gram canisters will likely last through the entire holiday season and beyond). Try our Magi-Cake Strips for even baking and to eliminate high-rise centers, cracked tops and crusty edges. These hand-washable strips adjust to all regular-sized cake pans, so you know when you reach into the oven, you’ll pull out something beautiful. 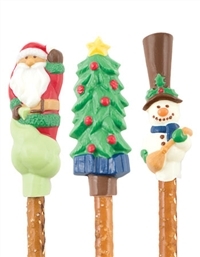 Turn regular pretzel sticks into the hit of your holiday gathering with fun chocolate pretzel toppers made using our Wilton Pretzel Chocolate Molds. We’ve got a Santa option or a Christmas figures version that includes Santa, a snowman and a Christmas tree. You’ll love how perfectly each piece comes out! 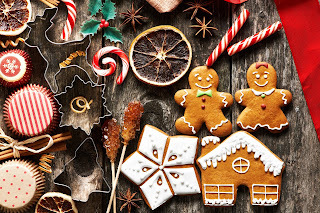 We hope this holiday baking supplies list helps ease this year’s bustle just a bit. And most of these items ship within 24 hours, so you won’t have long to wait. Remember: Even if your table doesn’t look exactly as you’d envisioned it would, or your cupcakes get smooshed on the way to Grandma’s house, the holidays are still a special time of year, perfect for spending with family and friends. Togetherness is the best part – the rest is just icing on the cake. We hope you enjoy your holidays, however you celebrate this year. SO Happy! First Time I Ordered. I Will b getting More of these Products.